Clear coated a few playfields this morning. I just set them out in the Florida sun for some UV exposure. Here we have an NOS Bally Eight Ball and a Bally Wizard reproduction. Very rare and will look stunning when finished. 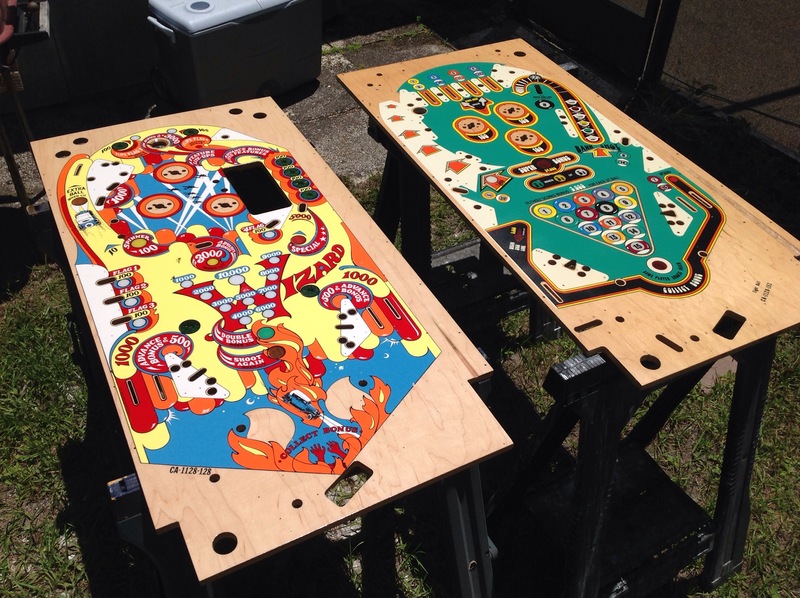 This entry was posted in Playfield Restoration by Pinball Shark. Bookmark the permalink.